Without a doubt one of the huge differences between U.S. and Mexican culture is the value that each culture places on time as opposed to people. Schedule vs. relationship. Agenda vs. friendship. In the United States we pride ourselves in the amount of tasks we are able to complete in a day. We visit the bank via the drive-thru. We may pick up lunch the same way. We stop in at a friend or relative’s house, and drop something off at their door, and perhaps chat a few minutes. Time to go! Everyone, after all is busy, and everyone understands that. In the U.S., we are able to think in terms of minutes and hours. We are able to visually see a clock in our mind’s eye. Most of us, if you’d ask us how much time had gone by in any given activity, could give a pretty close approximate time. In Mexico, it’s a bit different. Ok, it’s A LOT different. Mexican’s would say that we allow the clock to control us. After all, the person is always more important than the agenda. Why not enjoy life! 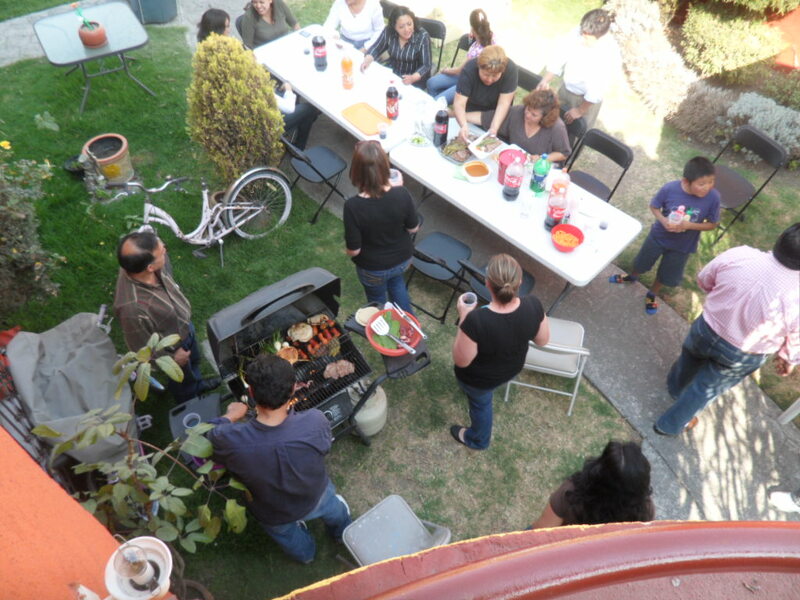 I am convinced that most Mexicans do not think about how long an event lasts…it’s just not the way they process life! They become wrapped up in the enjoyment of it, in the relational interaction that most activities provide. I have never, in 20+ years in Mexico, seen a Mexican look at his watch (or cell phone) for the time. A beginner missionary always arrives on time for every event in Latin America. A veteran missionary realizes that most events (even weddings and graduations) start at least half and hour late. An activity becomes a life event. You go to enjoy, and you leave when it’s over. One the the rudest cultural faux pas as a host is to encourage someone to leave, to tell a guest that you really need to…I don’t know…go to bed! It is also rude to leave an event too early. What’s the rush? Did you not enjoy my party! There have been many, many times where we’ve hosted over 20 (over 50?) people in our house. The level of interaction is so intense that sometimes, I confess, I go to the bathroom just for a bit of peace and quiet! Oh, but once you get used to this way of life, there’s no going back.